Brenda Faverio is a Certified Fibromyalgia Coach and an Integrative Nutrition Health Coach. She was diagnosed with Sjogren's Syndrome in 1999 at 34. Over the years diagnoses piled up including renal tubular acidosis, Raynaud's Syndrome, IBS, Factor V Leiden, migraines, and sub-clinical hypothyroidism. Six years ago Brenda was rear-ended while stopped at a red light. This lead to frequent flare- ups of her autoimmune disease with body pain, migraine headaches, fatigue, and a variety of vague and seemingly random symptoms. Soon, fibromyalgia was added to her list of diagnoses. Last year, Brenda lost her young niece to autoimmune disease and cancer. This, combined with turning 50 and watching many family members struggle with autoimmune diseases, resulted in an epiphany. She was "sick and tired of being sick and tired". Brenda enrolled in IIN and learned about and improved her own nutrition. She embraced holistic/alternative practices as an adjunct to conventional medical treatment. She also sought out MBSR (Mindfulness Based Stress Reduction) educational opportunities. ​She went on to become a Certified Fibromyalgia Coach in order to help working women with chronic conditions like herself to find improved health/wellness and balance in their lives. 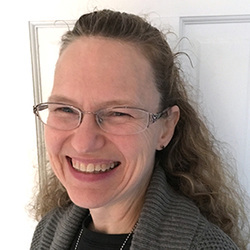 Brenda continues to work as a Speech Language Pathologist and Board Certified Behavior Analyst with children/families on the Autism spectrum in addition to her coaching practice. ​She lives in Smithtown, New York on Long Island with her husband and their 2 dogs and 2 cats. Their home is a revolving door, rather than an empty nest, for her three young adult daughters. "Brenda has an incredible ability to come up with suggestions that are just perfect for my needs at whatever moment. She can completely focus on what is going on for the week, offer perfectly useful advice for any situation, emotional support, and she's highly intelligent and knowledgeable. She's very professional, well trained, adaptable."